A reddish orange carnivore (i.e. consumes meat) cat, hunts prey biting on their neck and this makes them weak in just one quick shot. Bengal Tigers can be as large as 3 meter long and their tail length may go up to 3 feet, weighs round about 200 Kg. Bengal Cat is large animal with narrow black, grey and brown stripes on their body. The underside of this beautiful animal is white and slightly creamy. Bengal Tigers have charming icy blue eyes look scary, when tigers are hungry. Preferable time for hunting is either at dawn or dusk, mostly depending upon the seasons and kinds of prey. Male Tigers hunt alone and marks territories as they do so. Bengal Tigers are capable of consuming 40 kg meat at once. Tigers do not interact much and are quiet by nature. Unlike other breeds of cats, Bengal Tigers freely enters water to cool off and to find prey in the lakes. Bengal Tigers are excellent swimmers and have potential of traversing several water resources comfortably.Tigers balance territories by keeping consistent watch on them. Distribution: Population of Bengal Tiger cats have reduced massively and Planet earth is losing this incredible species day by day; however few tigers can still be found in certain places such as Vietnam, Cambodia, Thailand, Indus valley of Pakistan, Laos, Malaysia, and the islands of Java and Bali, parts of northeastern China, Korea, Russia, and parts of India and the around Himalayan region. 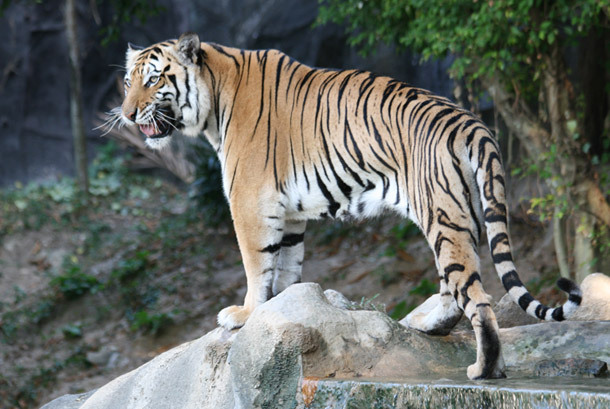 Habitat: Bengal Tigers are usually found in monsoonal forest, dry thorny forest, scrub oak, tropical lowland evergreen forest, birch woodlands, tall grass jungles, and mangrove swamps. Diet: Tigers contribute majorly in food chain, as once tiger is filled with prey; remaining is consumed by mammals, reptiles and birds. Most of the Bengal Tiger diet consist large ungulates species such as Chital, Gaur, Water Buffalo, Nilgai. In medium categories includes wild boars, hog deer. 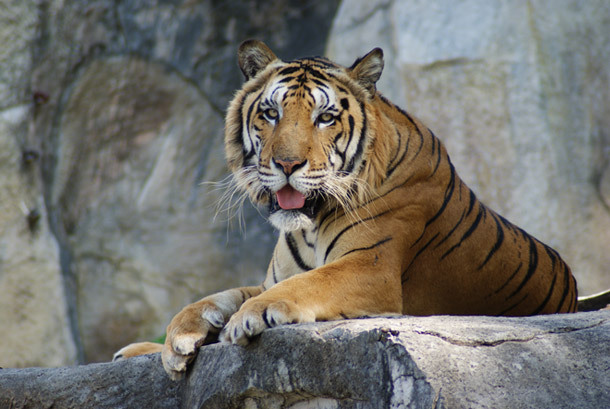 Khao Kheow Open Zoo has one of the most attractive species of Bengal Tigers in Bangkok. 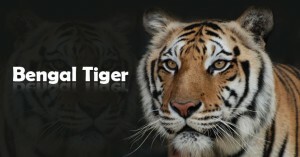 It has wide varieties of Bengal Tigers which are exhibited in Journey to the Jungle. This amazing place showcases large number of Bengal Tigers. Overall it’s a magnificent place to hang-out and to have enjoyable family time.